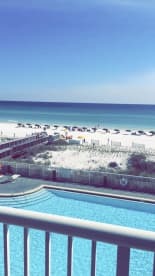 We are from Covington, a small town in west Tennessee and have been vacationing on Okaloosa Island in Ft. Walton Beach for years. Our family loves this area and we would like to share our place with you! Give us a call today. I think you will be glad you did!